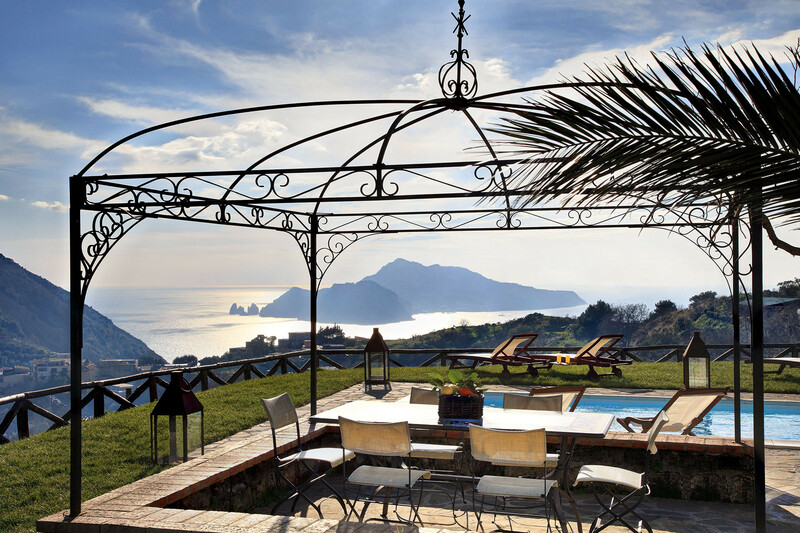 Nestled in the green hills of Massa Lubrense, just minutes from Sorrento, lies Casa del Capitano. 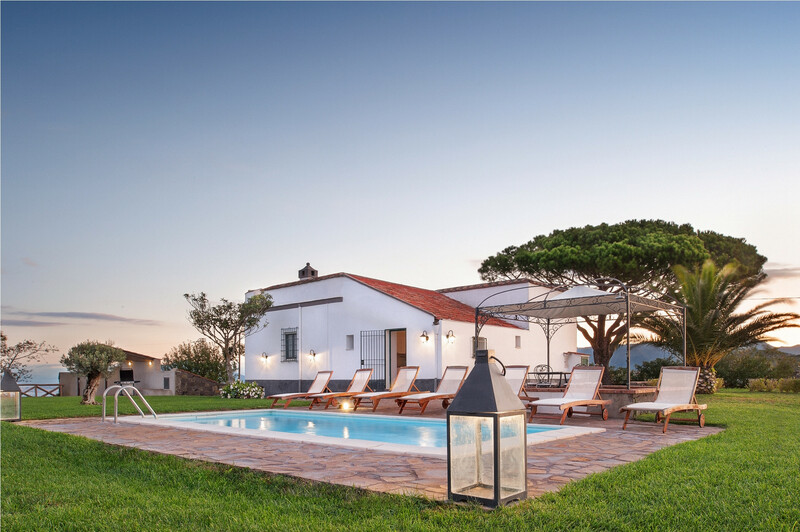 An extensive property, consisting of a villa and separate annex, Casa del Capitano was once an old farmhouse. 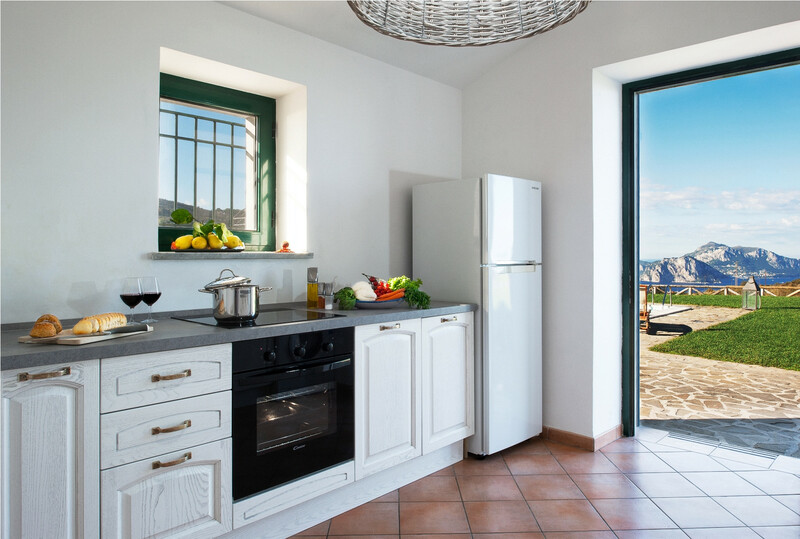 Sitting high above the Gulf of Naples, surrounded by the deep blue of the Mediterranean Tyrrhenian Sea, staying at Casa del Capitano is the ultimate authentic Italian experience. 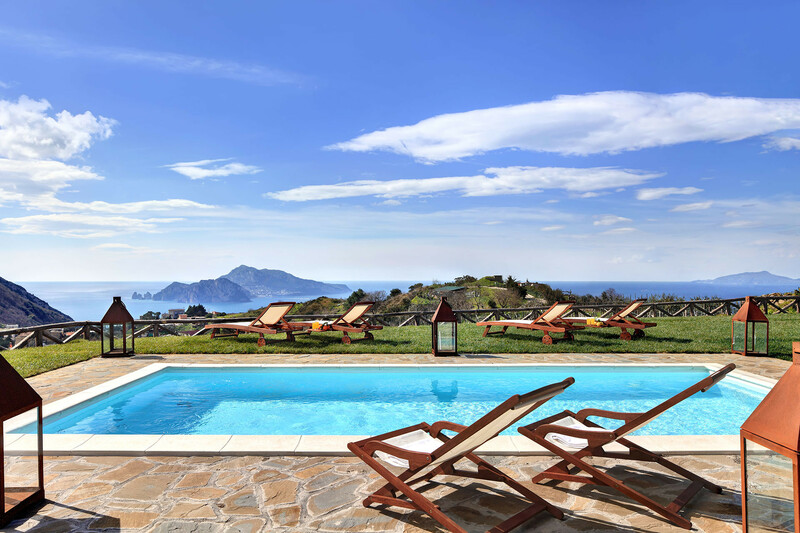 Arriving at the property, driving past endless vineyards of exclusive DOC (Denominazione di Origine Controllata) grapes, your sight will be arrested by the picturesque private gardens of the property. 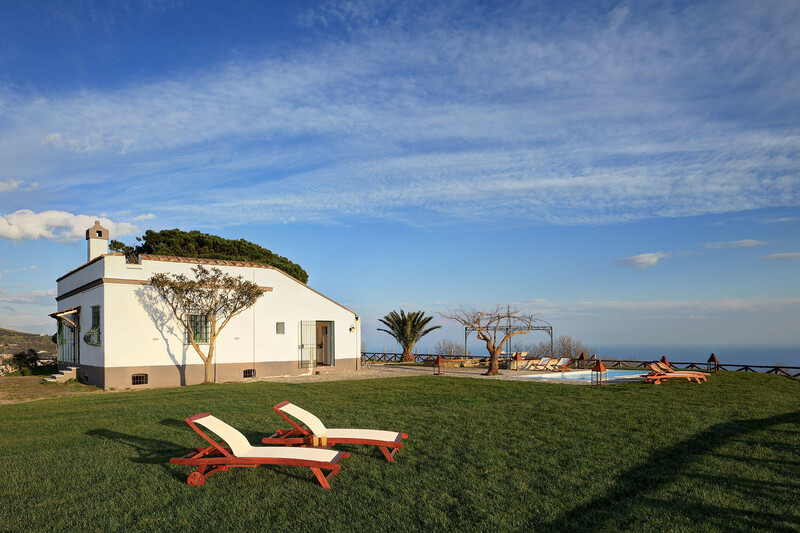 Olive trees, Mediterranean vegetation and plants surround the villa in a natural amphitheatre, seducing you with their unique perfume. The generous pool lies next to an expansive patio area, with dining table and chairs beneath a beautiful wrought-iron gazebo. 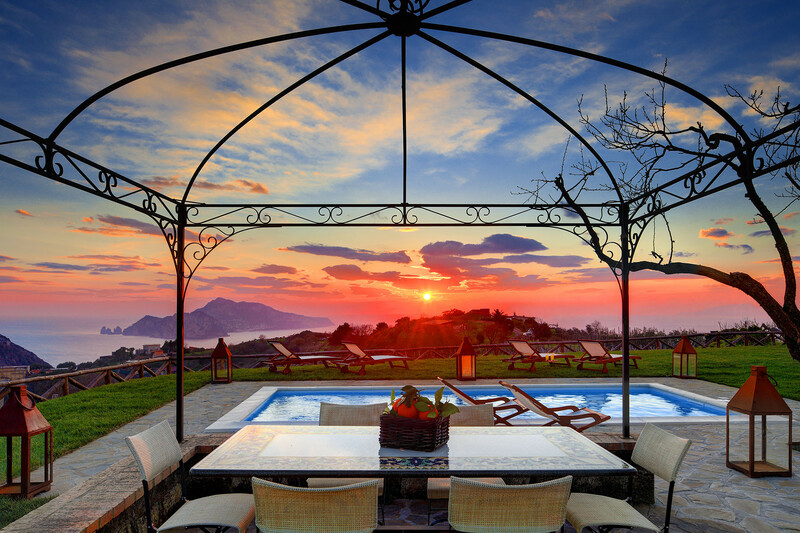 A covered barbeque offers views of the vineyards, sweeping down to the Bay of Naples – perfect for inspiring the chef! 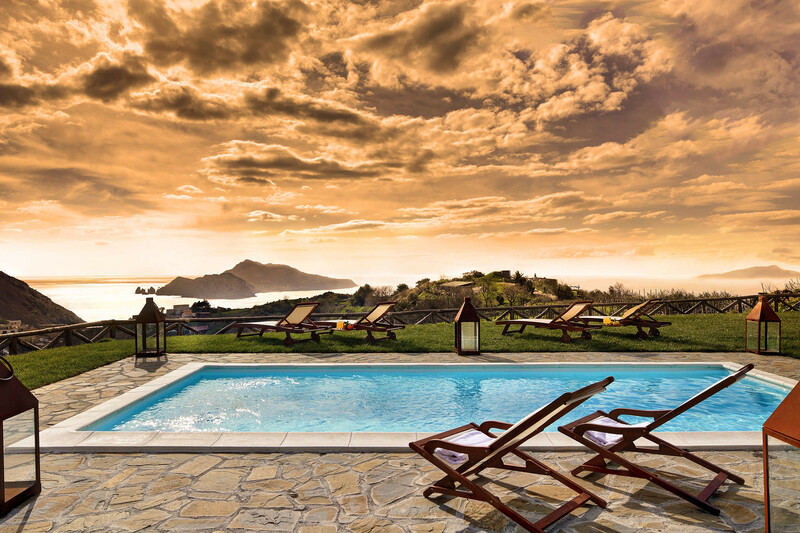 From your sun lounger, you can take in spectacular panoramic views of the Islands of Capri, Ischia and Procida and the breathtaking Mount Vesuvius. 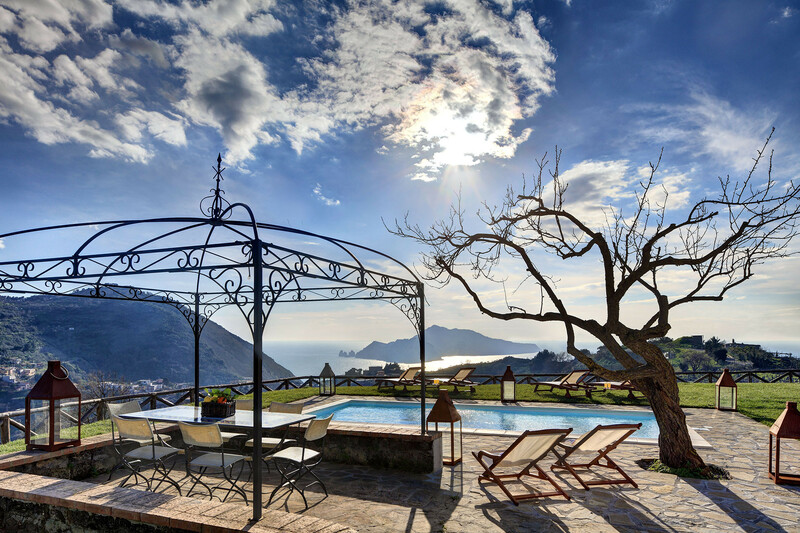 Year round, the varied colours and scents of the Amalfi Coast line will tantalize your senses. The vista really is something incredible, particularly as the sun sets before you – you will feel on top of the world. 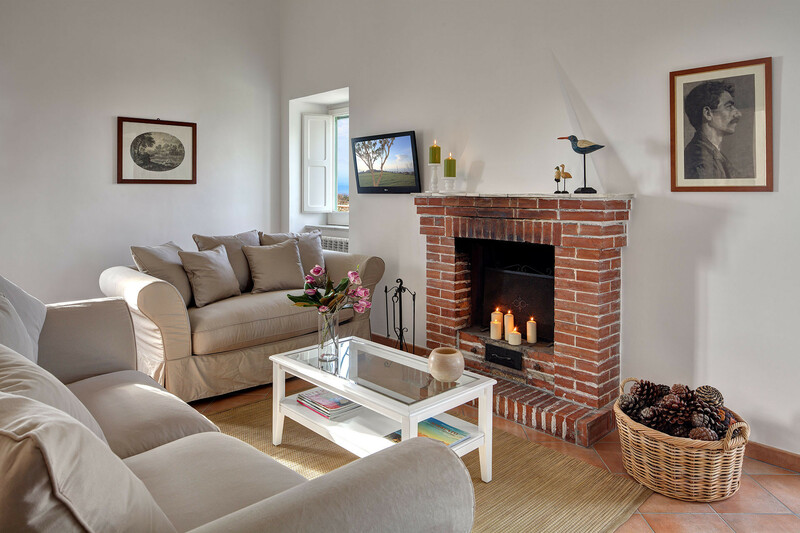 At the entrance to Casa del Capitano, there is a large living and dining area, with an original fireplace and 32” flat screen satellite television. 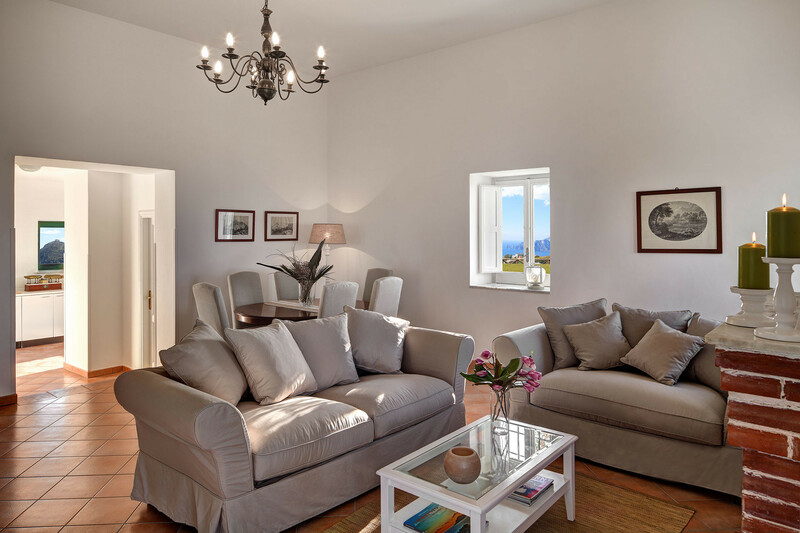 Two comfortable sofas offer a warm and welcoming bolthole, with two windows offering unparalleled, romantic views of Capri Island. The property boasts heating, air conditioning and WiFi throughout. The main villa contains three bedrooms, with the fourth in the annex. Two of the bedrooms in the main building are furnished with a Queen-sized double bed and wardrobe. The third has two single beds and a wardrobe. All bedrooms are decorated in a clean, modern style with real attention to detail. Large bedroom windows look out to the picturesque gardens. 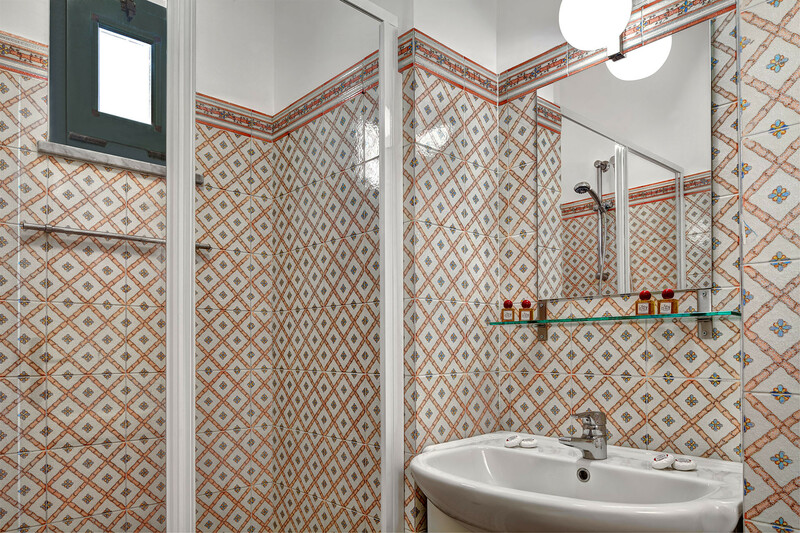 The two bathrooms of the main villa are immaculately presented, one with a bath, and the other with a large, walk-in shower enclosure. The kitchen is spacious and boasts all of the modern conveniences that you could wish for, including dishwasher, gas hob, oven, large refrigerator/freezer, microwave and kettle. Clean white units contrast with brightly coloured tableware. A washing machine and ironing board is available. 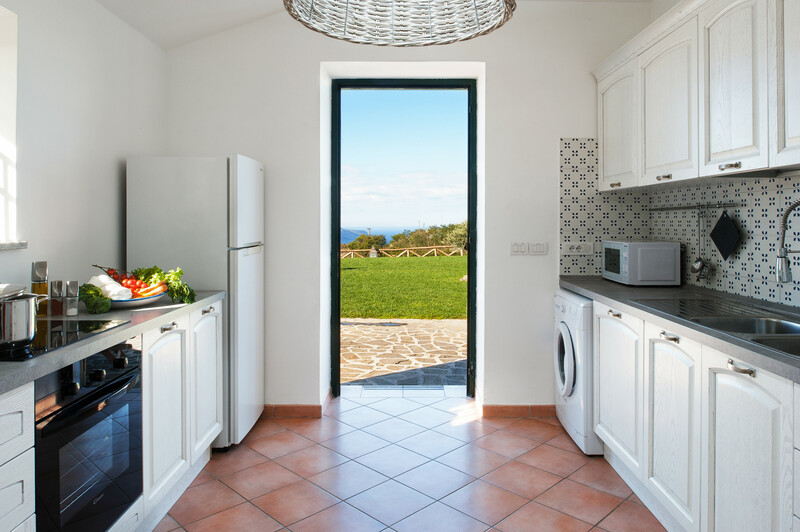 Ideally located, the kitchen leads straight into the garden, so you can fix a meal or drinks and stroll straight outside. The annex offers a private retreat, with a double bedroom and an en suite bathroom with shower. Relax above in the loft room, cosy and snug with pillows and rugs. Perfect for a couple looking to enjoy romance. 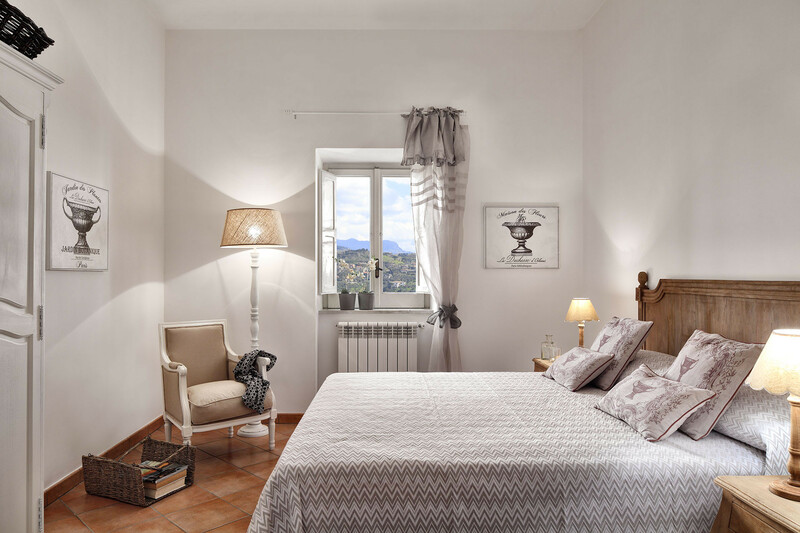 Casa del Capitano is a brief five minute walk from authentic small village of Termini, just a twenty minute drive from Sorrento. You will enjoy privacy in a serene setting, whilst having the opportunity to reach the beaches, shops and supermarkets when you wish. On the property, there is gated, private parking for four cars. 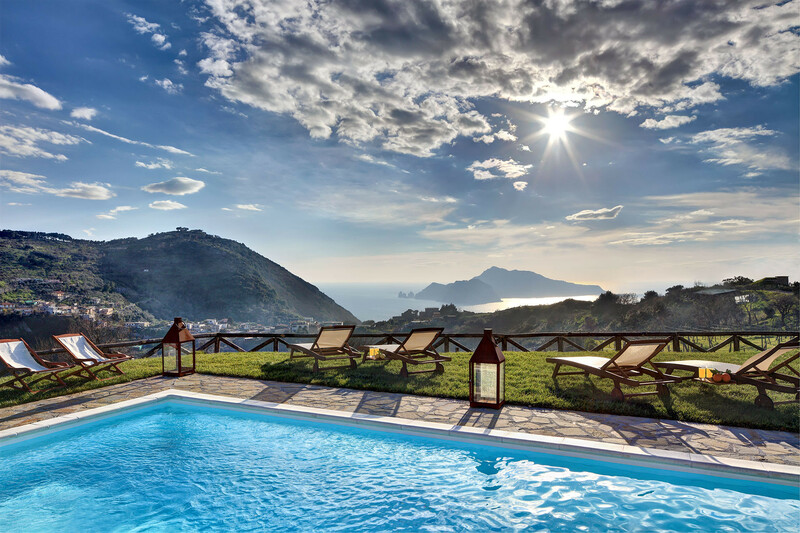 Whether you are looking for a week with your family in an authentic Italian villa, or even hosting an event for clients,Casa del Capitano will give you memories to last a lifetime. Central heating can be used on request, and it's payable 5 euros /m3 of gas, according to the use. Please note, there will be a cleaning fee of € 200 added to the rental period at time of the booking. 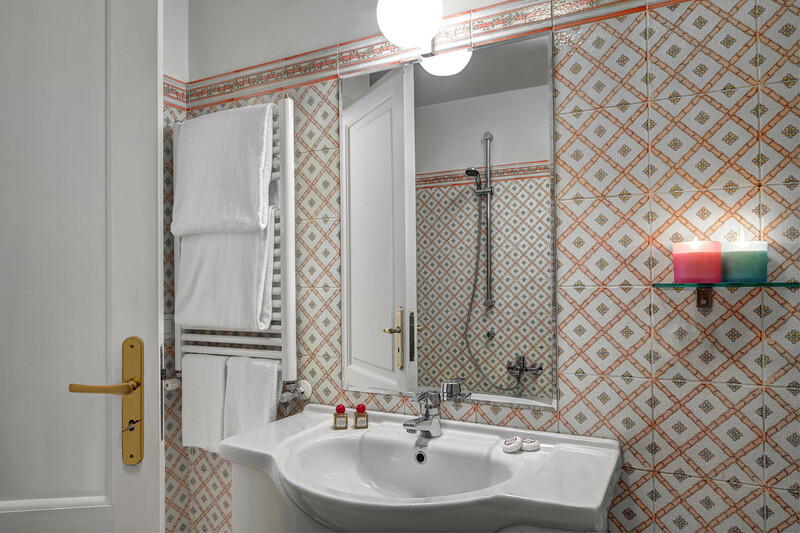 Guests will have general daily cleanings during their stay. Included in the price, is a midweek linen/towels change. 1 TV, garden, garden furniture, barbecue, fireplace, iron, internet (Wi-Fi), 100 m² property, 350 m² plot, single boiler on gas, air-conditioned, private swimming pool, Open-air parking (2 places) in the same building. This experience will exceed your expectations! Unglaubliche Aussicht! Tolles Haus mit großem Garten. Die Gastgeber sind sehr hilfsbereit und bei Problemen sofort vor Ort. Können es auf jeden Fall weiterempfehlen!